Anja Musek found her calling in creating unique fashionable items such as scarfs, bags, jackets and jewellery under her brand name AMUSE. Anja makes everything by hand using an ancient technique called wet felting. She is well known for her signature ‘clean’ contemporary design using materials like silk, linen and cotton as well as wool. Anja Musek lives and works in a small medieval town of Škofja Loka, Slovenia. She is married to a violin maker Daniel Musek and they have two daughters. 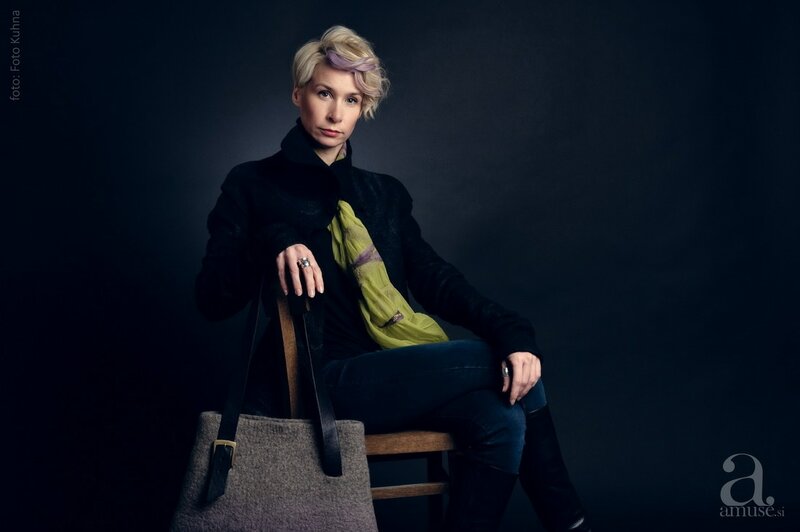 Anja Musek has received quality certificate of ‘Art & Craft – Slovenia’ for ALL her products. Name AMUSE is a combination of my first and last name – Anja MUSEk – AMUSE. I love to felt, I love to create new things from wool every day, I love to teach felting … it makes me happy – it AMUSES me … browse through the pages and I hope it amuses you too! 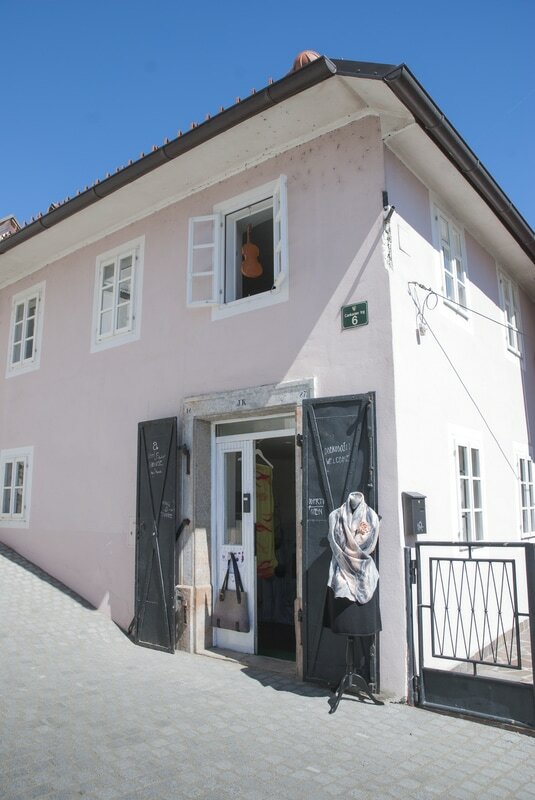 Studio Amuse is located in the old part of mediaeval town of Skofja Loka, Slovenia. Anja spends most of her time in the spacious workshop overlooking the river Sora. In the front of the building, you will find the showroom – retail shop, where you can have a look at AMUSE felted creations, but she will gladly show you the workshop where you can see where and how the ‘magic’ happens. Studio Amuse is also were all Amuse workshops and other events take place. Skofja Loka with its rich history inspires me to make unique felted creations the same as it inspired the hat makers and other artisans that used to live here the last thousand years! 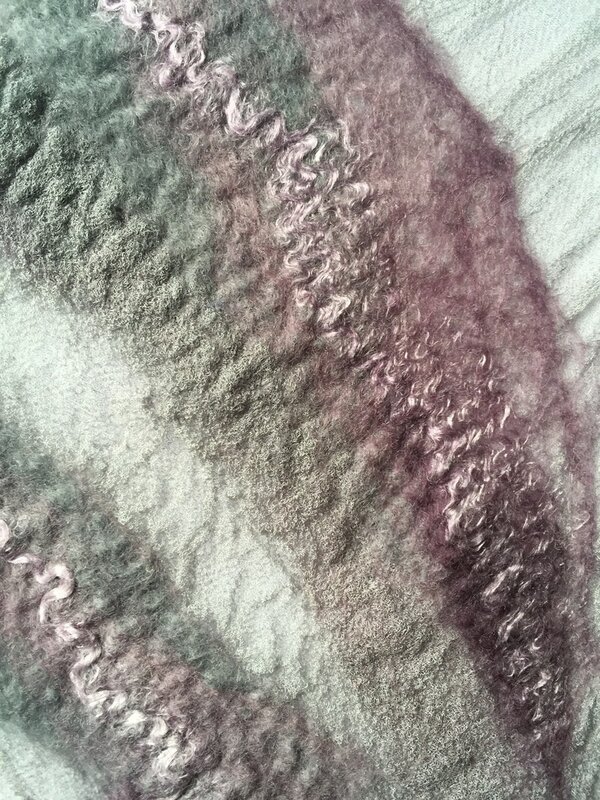 Wet felting is the oldest process of creating textile. All you need is carded sheep wool (or other some other animal fibres such as alpaca, mohair, angora, cashmere, camel…), warm water and soap. Wetting and soaping the fleece causes the scales on the fibres to open, while agitating them causes them to hook together into a single piece of fabric – felt. Plant fibres and synthetic fibres do not wet felt on their own. 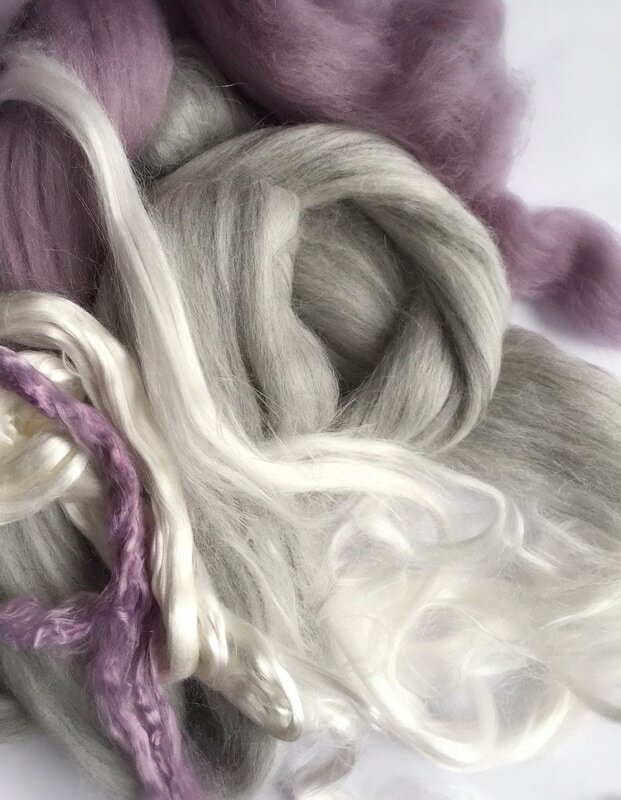 I use wool as a base for most of my creations and other fibres, such as silk, bamboo, flax etc., to create special effects on wool. 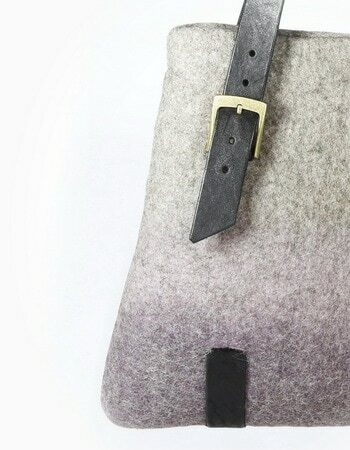 Felt has many great properties as it is made from wool: it is natural and renewable, it resists dirt and grease, it is breathable (keeping you warm in winter and cool in summer), non-allergenic and antibacterial, it has high UV protection; it is also flame retardant and biodegradable. Quality felt is durable. I only use top quality fibres and take my time while felting each product. This way I create beautiful quality items that will last you a lifetime.